Copy Arabic link to URL bar or open in new tab. 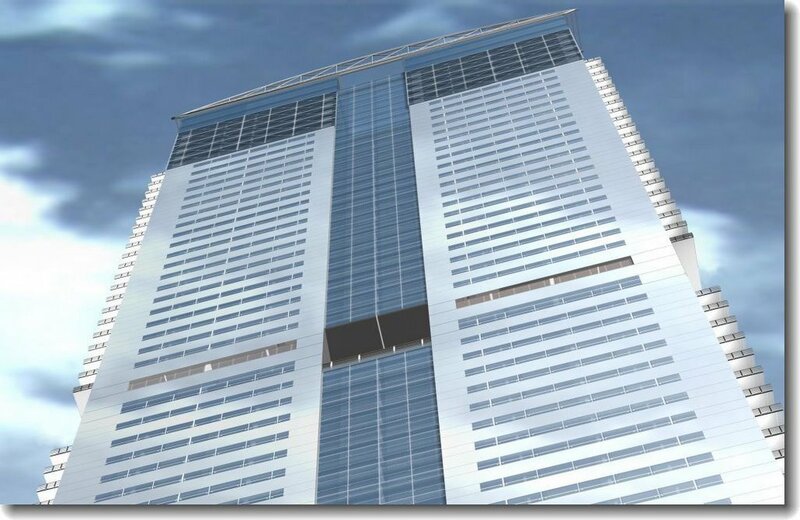 Description: Luxury residential tower suitable for single, couple and small family occupancy, priced for those of moderate to moderate-high incomes. Suitable also for permanent and seasonal accommodation. Tower (illustration) in photo depicting approach from D Road. By end-2008 several other towers will also be visible. Site Specifications: Since there is no height limitation, the main architectural design criterion is the number of parking spaces provided (one space for every apartment of area below 148.5 sq.m. and two spaces for any greater than this). Height: 275 meters (to top of cooling tower & water tank). Floors: 66 (3 below + 63 above ground floors), (55 residential, 8 podium/parking, 3 technical--incl. 1 at rooftop, 1 community). No. 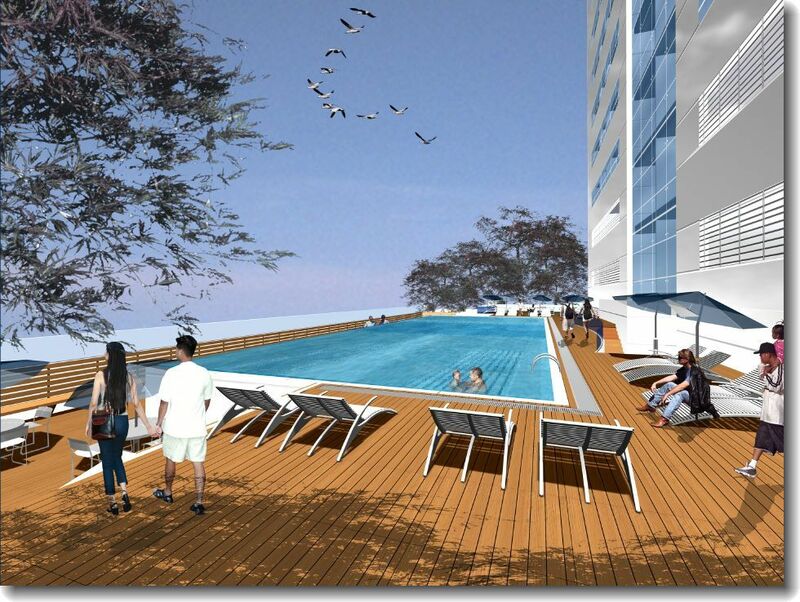 of Available Units: 330 one-bedroom (78.41-84.36 sq.m.) 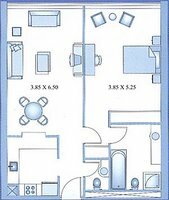 & 220 two-bedroom (148.28- 167.06 sq.m.) apartments. 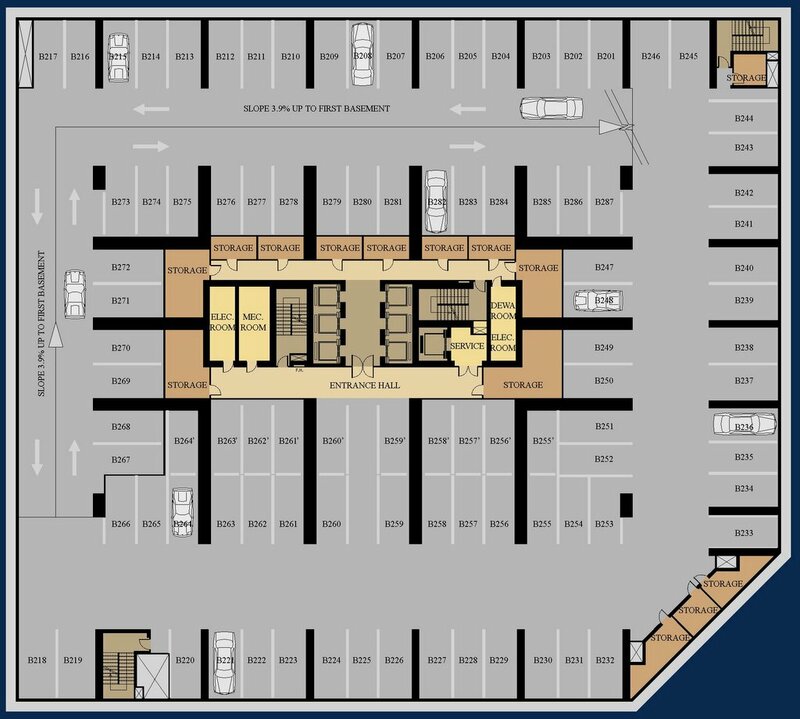 Parking: 566 stalls (including 52 two-car stalls) spread over the 8 levels of the podium. 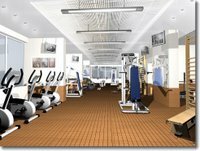 Storage: 135 enclosures in varying sizes located in the podium and on floors 31-55. 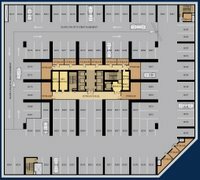 Elevators: 3 (serving B2-30 & community floor) + 3 (serving B2-1st tech. floor, community floor & 31-55), + 1 service (serving B2-55). The tower’s front (ground floor entrance) is oriented SW (toward the marina) on the Ring Road while the back facing side is oriented NE (toward Internet City). The narrower NW side of the tower is oriented toward Sufouh Road and the Arabian Gulf and the SE side is oriented toward Sheikh Zayed Road. 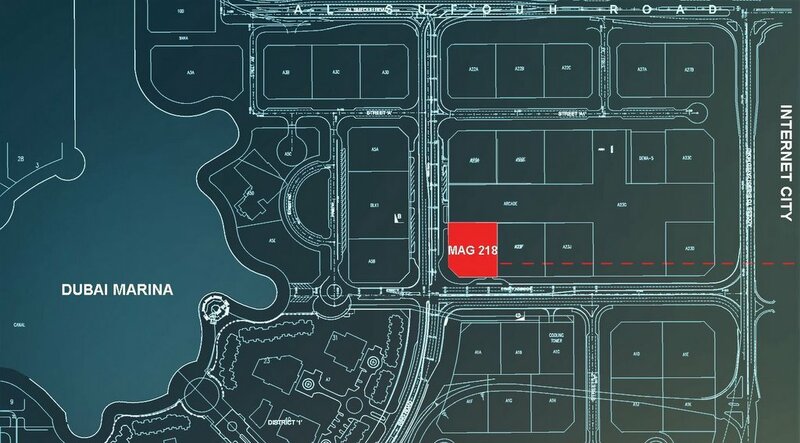 MAG 218 location: Dubai Marina–District 10, Plot no. 392-199-A23B. The plot area is 3427 sq.m. Three sides of the tower are separated from other nearby towers by roads (SW & SE sides) and by a shopping arcade—the proposed Dubai Marina Mall—(NW side). These will offer relatively open views at lower elevations, apart from potentially wider views at higher elevations. The NE view faces a plot which may in the future house another tower. 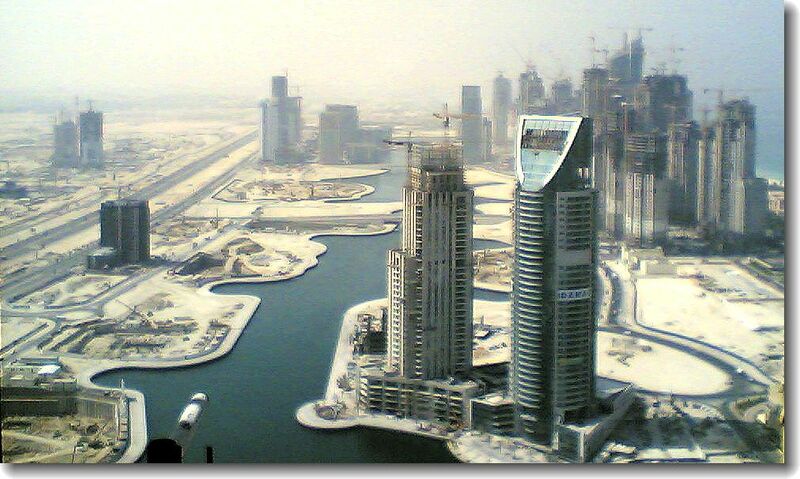 That being said, many of the towers being constructed in this part of the Marina or nothing less than spectacular. 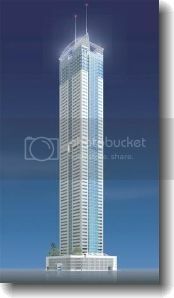 Each, set above a wide podium, offers the prospect of pleasant views of the tower itself. 47th floor view over the Dubai Marina. MAG 218 tower offers apartments in one-bedroom (78.41-84.36 sq meters) and two-bedroom (148.28 and 160.09-167.06 sq meters) sizes, with 10 units per floor filling all 55 residential floors of the tower. 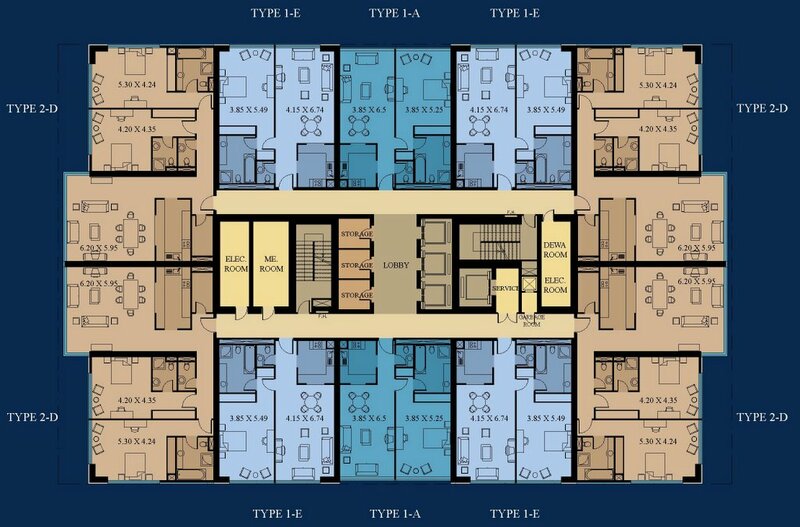 The two-bedroom units, re-designed to include balconies, are situated at the 4 corners of each floor, while the one-bedroom units are located only at the front (marina-facing) side and back (Internet City facing) side of the tower—three apartments on each side. 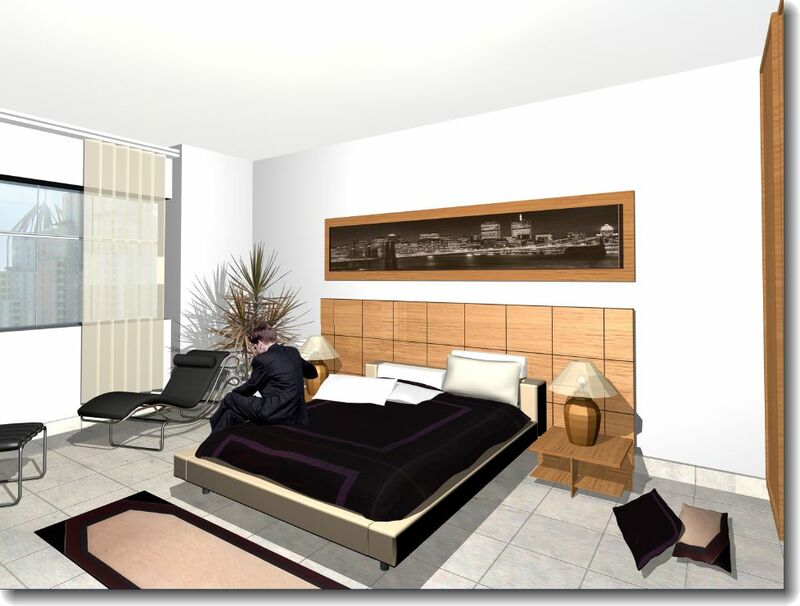 The one-bedroom apartments include master bathroom and guest toilet, in addition to living-dining room and kitchen. 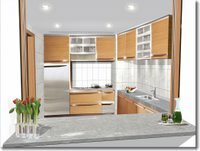 The floor-plan is strategically designed to offer entry ways to each room, an open kitchen-dining option and a master bathroom which includes separate shower and bath. 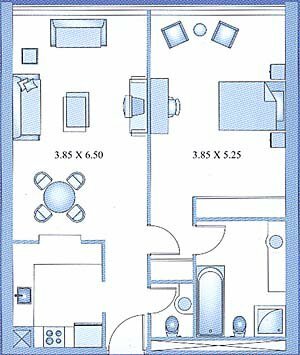 Though incorporating a compact-design (clearly visible in the rectangular structure of the unit whole) the floor plan offers moderately spacious room dimensions. 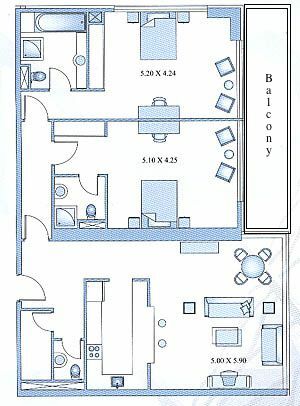 The two-bedroom apartments offer balconies (except in units on floors 51-55). As in the one-bedroom apartments each room is approached through an entryway. There is also an additional room for use as storage, a maid’s room or small study. Balcony access is allowed through the living-dining room and both bedrooms. More spacious than the one-bedroom units, the complement of balcony and small mixed-purpose room results in a very multi-functional living space. The tower’s top five floors feature a full glass exterior and thinner interior walls creating slightly more floor space in some units and resulting in the absence of balconies for 2-room apartments. Podium Top: swimming pool (24.5 X 8 meters), jacuzzi, sundeck and solarium, in addition to changing facilities and shower area support for the swimming pool. Community Floor (above floor 30): community hall, gym, tv lounge, pantry and balcony. 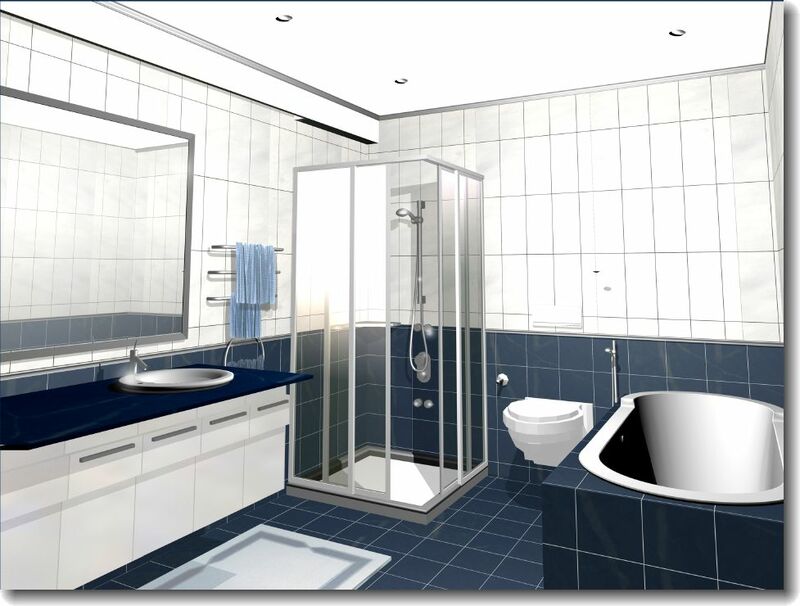 Apartment interiors will be finished with high quality European style surfaces. Kitchens and bathrooms are to be fitted with high quality basins, cabinets and appliances. 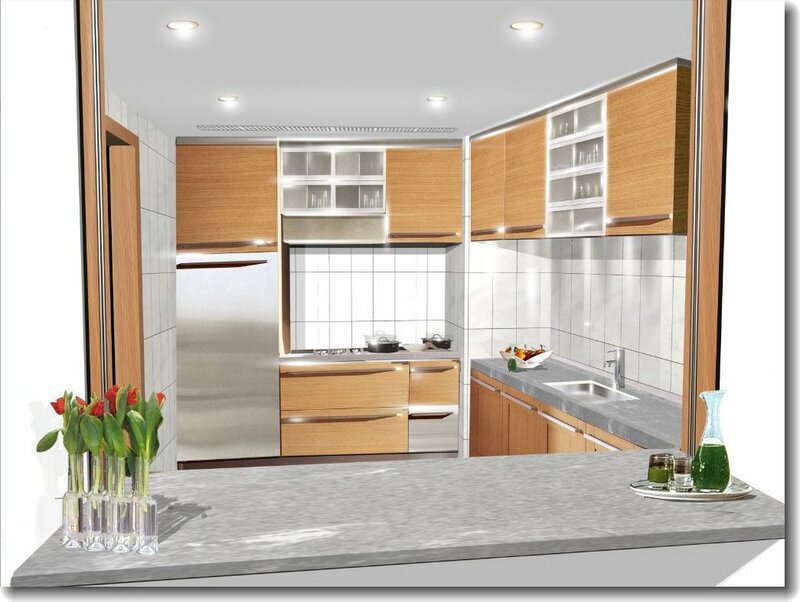 The developer states that concept images (as seen below) represent to a 95% degree of accuracy what buyers can expect to see in their units (excluding bed and living room furnishings). Further he suggests that model rooms for the MAG 214 Tower in the Jumeirah Lake Towers development, which will be ready for viewing in mid-2006, will provide an indication of the level of quality MAG 218 buyers may expect. 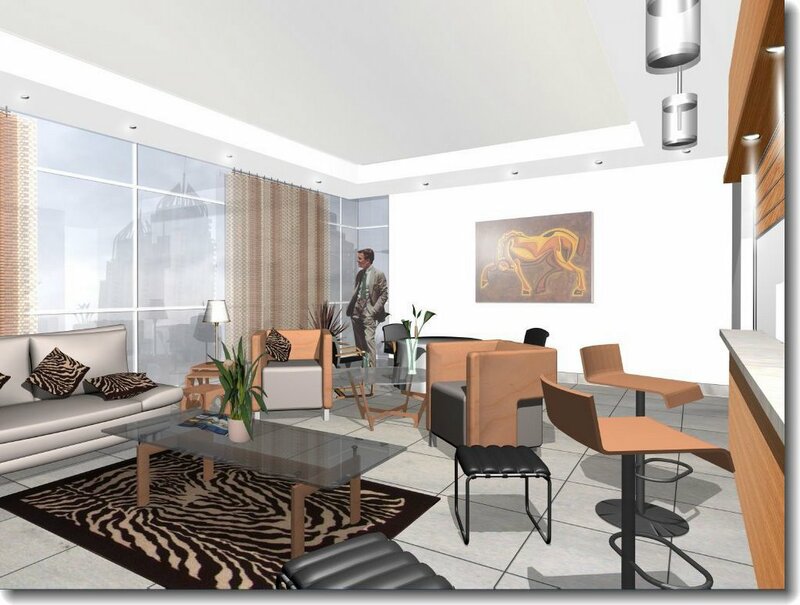 Living room depicted from 2-bedroom unit. The kitchen can be closed off from the living room by drawing shutter over bar. Window style in bedroom representative of floors below 50. 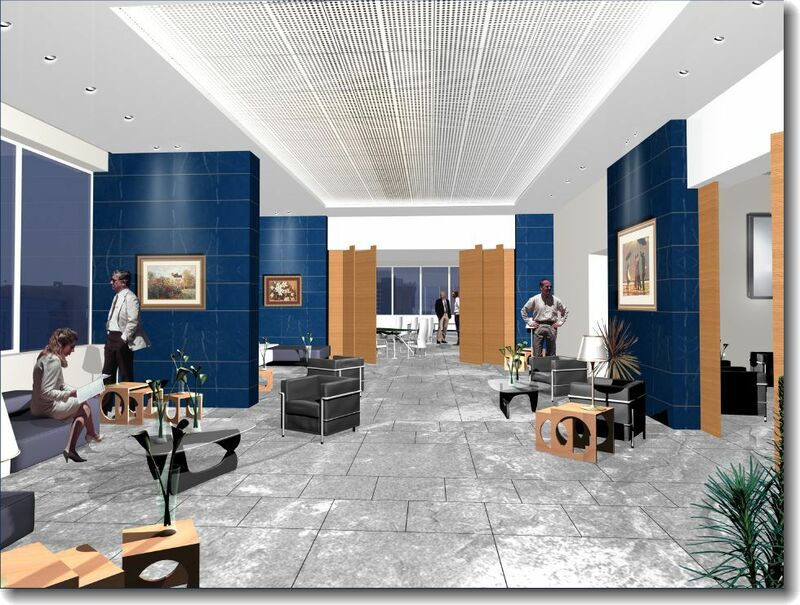 Go to MAG PDD General Manager Interview for more details about the project, or return to Mag 218 Community homepage. Dubai Marina will soon be home to a number of remarkable towers, many presently under construction and some as yet only proposed. The MAG 218 Tower will not be able to lay claim to the title of most outstanding landmark in the Marina as the competition is just too stiff. Taller towers will dominate, like the Princess Tower, Najd Tower or the Torch. Even the shorter Marina Heights will stand to make a name for itself. These incredible towers will all be within steps of the MAG 218, and other impressive structures will rise further afield. That being said the MAG 218 will hold its ground as a masterpiece of modern styling and functional elegence. The developer's literature speaks of "pure geometric forms," "clear spaces" and "crisp, futuristic style." One might consider this hyperbole, but a look at a few of the drawings and illustrations that portray both exterior and interior features of the tower will attest to the validity of the developer's claims. 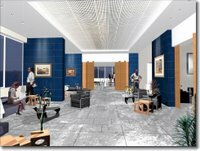 Although the tower will not be the biggest or best on the block it will be among the more unique, possessing an understated elegence. This section of the MAG 218 website aims to provide in facts, figures and graphics as much detail as possible about this attractive new edition to the Dubai Marina landscape. Go to MAG 218 Community's most recent posts, or view the complete listing (by title) of all MAG 218 and Dubai Marina Communities' posts. American expat, in the UAE since 2000. Language teacher by profession; blogging and Dubai & South Asia enthusiast. Email me for more info or to comment.